The revitalization of the Planet of the Apes franchise has really been fantastic. Rise of the Planet of the Apes was absolutely phenomenal-- a heartbreaking, emotional saga that honestly should have seen Andy Serkis earn an Oscar nomination. While I didn't like Dawn of the Planet of the Apes as much as I liked Rise, it was still a great movie that built upon the story. So naturally, I've been really excited to see the third installment. Awhile back, we learned that the title of the film would be War for the Planet of the Apes, which was exciting in of itself. We then learned that Woody Harrelson would be joining the film as the antagonist, which was also nice to hear. But other than that, we have heard nothing about this movie. A couple days ago, director Matt Reeves revealed that the film would be attending New York Comic Con, and it would debut its first footage there. 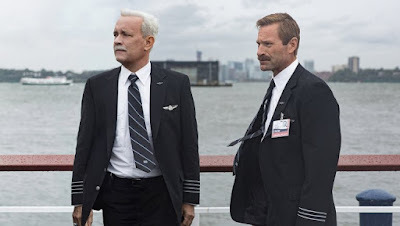 But ahead of its NYCC appearance, the official synopsis for the film has dropped. 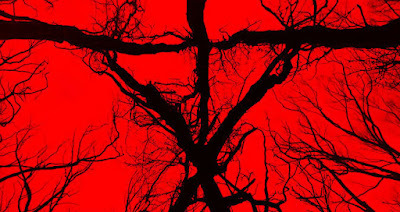 While Blair Witch didn't turn out to be the revolutionary horror movie everyone hoped it was going to be, it wasn't a bad sequel. It may have copied the original plot point for plot point, but it also tried to expand on the mythology. And this was the best part of the film, in my opinion. You can read our full review of the movie here. 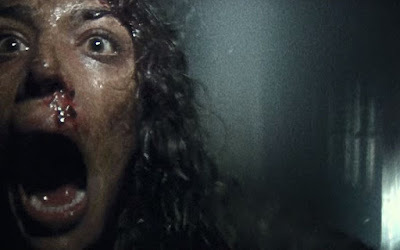 Before I go any further, I am just going to warn you that there are spoilers for Blair Witch in this article. So if you have yet to watch the movie, go see it and then come back to this article later. Denzel Washington is a fantastic actor. In everything he does these days, he gives a hundred percent. He just starred in The Magnificent Seven this past weekend (you can read our review of it here), and he was great in it. Washington knows when just to be fun and to be a badass, and when to bring the power and the emotion, and it looks like that's what we're getting with his next film, Fences. It's the film adaptation of a play of the same name that Washington and Viola Davis both starred in on stage, and now they are bringing it to the big screen, with Washington directing. I hadn't really heard about this movie, until I saw that the trailer had been released online. And upon finding out all the backstory I relayed above, I was eager to see this trailer. The Magnificent Seven has been one of my most anticipated films of the year, and definitely my most anticipated of the fall. I have loved the trailers. From the style to the action-- it's all looked fantastic. Plus, you have talent like Denzel Washington, Chris Pratt, Ethan Hawke, Vincent D'Onofrio, and Antoine Fuqua behind the camera. It was a recipe for a damn good batch of cookies. So I had very high expectations for this film. I walked in wanting to love it, and wanting it to be one of my favorites of the year. And maybe my expectations were ultimately too high. Don't get me wrong, I really liked this film, but I just didn't love it the way I thought I was going to. The Magnificent Seven is a very engaging and thrilling film, even if it doesn't reach the heights I had wanted it to. Jon Favreau undoubtedly did a brilliant job in bringing The Jungle Book to life. From the voice casting to the impeccable CGI effects, Favreau did a masterful job in making the whole thing come together, and tell a compelling and engaging story. So it wasn't a huge shock when he was confirmed to do a sequel shortly after. But after seeing The Jungle Book, one of my immediate thoughts was that I now wanted to see a re-imagining of The Lion King. After seeing what they could do in making CGI photo-realistic, I wanted to see how they could apply that to the world of The Lion King. It's one of the best animated films to date, but there is something truly special you could do in re-inventing it in a "live-action" format. 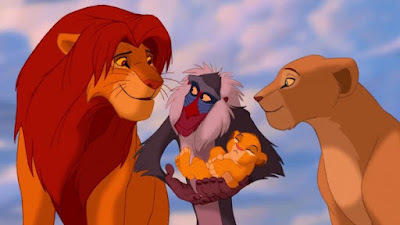 Well, Disney must have overhead me, because now The Lion King is officially in the works, with Favreau at the helm. 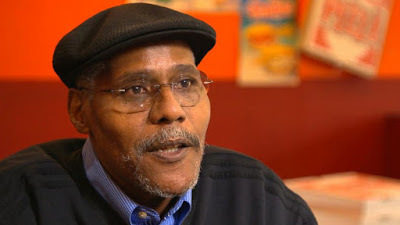 On Saturday, September 24th, actor Bill Nunn passed away at the age of 62, after a long battle with cancer. The actor was most well known for his turn as Robbie Robertson in the Spider-Man trilogy, and as Radio Raheem in Do The Right Thing. John Wick is a movie that I missed in theaters, and I wholeheartedly regretted it once I finally saw the film. 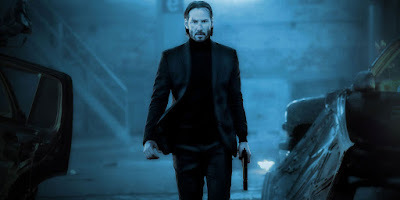 It's a kickass movie that proves to be the return of Keanu Reeves. He may not be the best actor overall, but he is an incredible action star. The Matrix is my favorite movie of all time, and he was absolutely brilliant in that film. And John Wick proved to be a throwback to those kinds of films. It was slick, smart and brutal. So since I saw the first one, I've been really looking forward to seeing the sequel. We've known that another one is coming, but we haven't heard many details about the plot, actors or when it will be coming out. All we've heard is that it will be in 2017 at some point. However, now we have our first look at the movie, along with an official release date. Passengers is a movie I've been fascinated with ever since I initially heard about it. First of all, Jennifer Lawrence and Chris Pratt are two of the biggest and most popular names in the industry today. Lawrence has already proven herself to be one of the most talented actresses working today, but Pratt has yet to truly prove his acting chops. He's an awesome guy, and I love him in Parks and Recreation, Guardians of the Galaxy and Jurassic World, but he has yet to show on screen that he can be more than an action star or the funny dumb guy. I've been waiting for him to show his dramatic ability, and this seems like a project where he could really surprise us. Plus, the film is directed by Morten Tyldum, who did a brilliant job with last year's The Imitation Game. So with all of these factors combined, I've been really excited for this film. And now we finally have our first trailer. 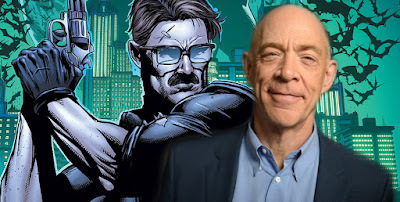 We've known for a while now that J.K. Simmons would be playing Commissioner Gordon in the DC Cinematic Universe. We've also known that he would have a very brief role in Justice League, but would have a much more substantial role in the Batman solo film. 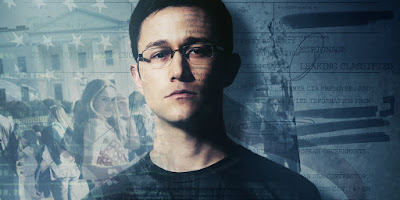 I love Simmons as an actor, but I've never really seen him as Gordon. Maybe it's because I loved Gary Oldman in the role so much in The Dark Knight Trilogy, and the fact that I attribute Simmons to J. Jonah Jameson in Spider-Man, but I've never really been able to picture him as Commissioner Gordon. I've had faith, though, that it would work, but I've wanted to see an image of him in costume so that I could be sold on the fit. However, we have yet to get a picture of Simmons as Gordon, until now. Jessica Chastain is an actress who just gets better and better with every film she does. I didn't see Huntsman: Winter's War, so I can't comment on her acting chops in that movie, but from everything I've seen her in, she's been excellent. So when I heard there was a political thriller coming out around Oscar time starring Chastain, I immediately became very excited. She's been nominated for two Oscars already, and she has many more nominations ahead of her. But from the sounds of it, this movie has all the makings to be a major Oscar contender, and a chance for Chastain to add another nomination under her belt. So, needless to say, I was excited to see that a trailer for Miss Sloane had dropped online. Stan Lee is probably my biggest childhood hero. It goes back to a surprisingly mature ability in my childhood to distinguish the man from the art. As a kid, I loved Spider-Man. He was my favorite superhero, and was huge in my development as a person. 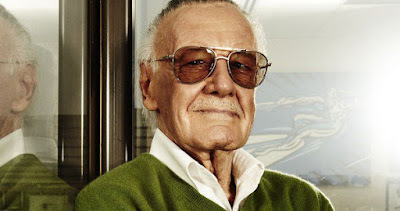 But I loved Stan Lee more, because I recognized him as the creator and writer for Spider-Man. I even mailed him a fan letter when I was six. Of course, he never wrote back, but it's interesting for me to look back and I realized I was more caught up in the man behind the curtain than Oz itself. Stan Lee even came to a comic con near me last year. I desperately wanted to get his autograph, but they were $80, and I was going through a bit of a rough patch financially, and I didn't know if I wanted to dish out that amount of money. I ended up not doing it, and I really regret it. I say all of this to give you a thorough understanding of how much Stan Lee means to me, in light of this recent news. 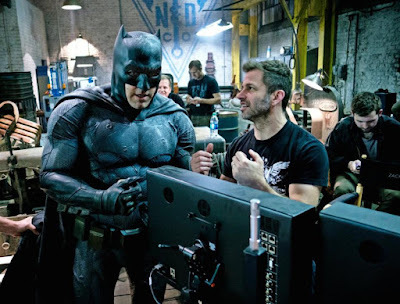 Zack Snyder Releases Photo from Justice Leauge Set of Ben Affleck in New "Tactical Batsuit"
Zack Snyder has gotten a lot of hate for his turn at directing Batman v. Superman: Dawn of Justice. While the film itself was overly disappointing, Snyder is definitely not deserving of the level of hate he received. But hopefully, some good can come out of this situation. When Dawn of Justice was released, Snyder was in the final stages of pre-production of Justice League. And if the set visits from a few months ago told us anything (you can read about them here), Snyder listened to the fans outcries. Snyder has maintained that he has listened to the complaints, and is working to fix those mistakes in Justice League, which is an extremely reassuring thing to hear. But a more interesting aspect of the set visits was the reports of Batman (Ben Affleck)'s many different suits and technology that would be shown in the film. There were upgrades to the Batmobile, new vehicles such as the Flying Fox and the Nightcrawler, as well as changes to his Batsuit.